Monster Power Resume Search is the most advanced way to match qualified job seekers with your opportunities and is now available to seamlessly integrate with your Bullhorn ATS and CRM software. 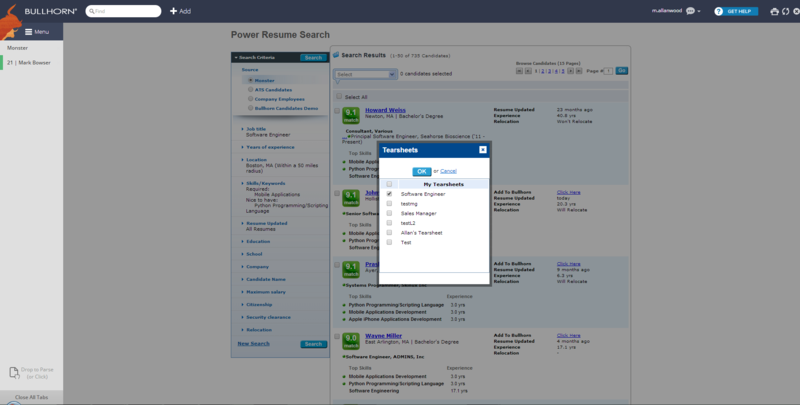 Powered by Monster’s 6Sense® search technology, Monster Power Resume Search helps you quickly pinpoint the ideal candidates within any of your databases. The integration allows recruiters to bring back the highest quality candidates and benefit from a significantly quicker workflow. From within Bullhorn’s ATS environment, recruiters can access Monster’s 6Sense Semantic Search technology, streamlining their ability to reach new candidates through Monster Power Resume Search (PRS). 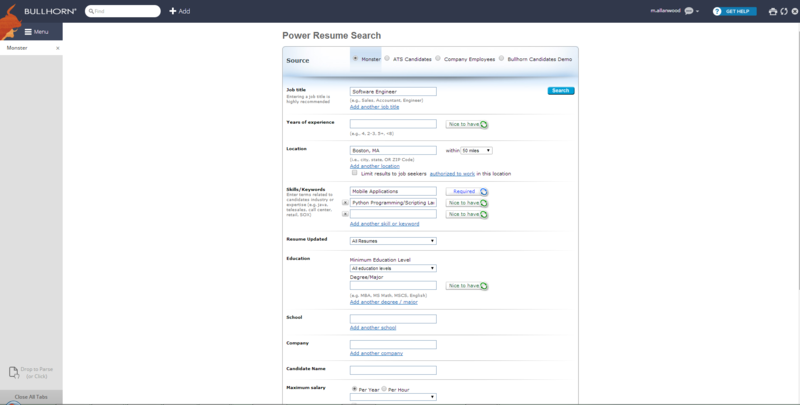 Monster’s PRS Search allows recruiters to search millions of resumes via Monster’s 6Sense technology. With one click, recruiters can add candidates to tearsheets or import them directly into the Bullhorn ATS. Instead of searching for keywords, Monster Power Resume Search understands the contextual meaning of words. A search for “RN,” for example, will pull up nurses, and a search for “attorney” will find lawyers and general counsel. A search for a “financial executive” won’t turn up “executive assistant.” It even understands what skills belong to particular job categories and which skills are more advanced than others. As a result, you will receive more accurate and higher quality matches for your openings based on candidates’ experience in relevant areas.